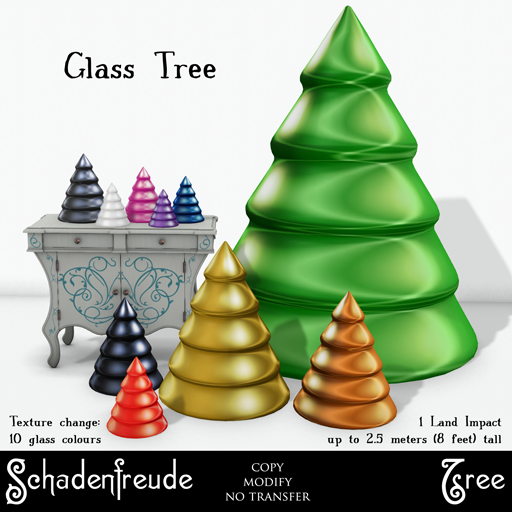 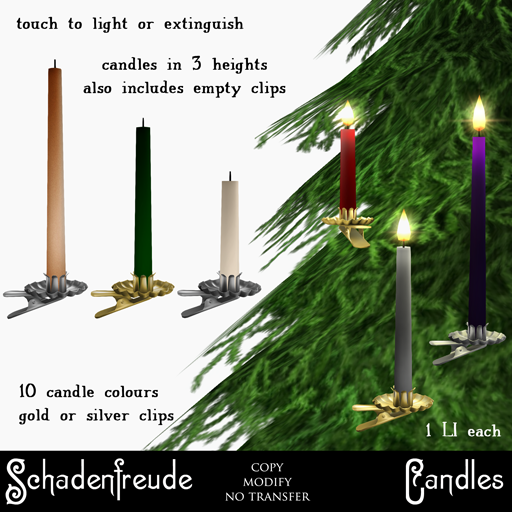 And some candles to clip on your tree- they do light up with little flames, but prim trees won't catch fire and burn your house down! 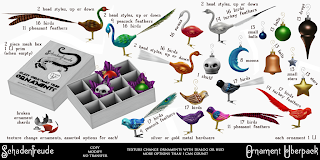 And this year, I finally got around to redoing the glass ornaments including the birds in mesh. 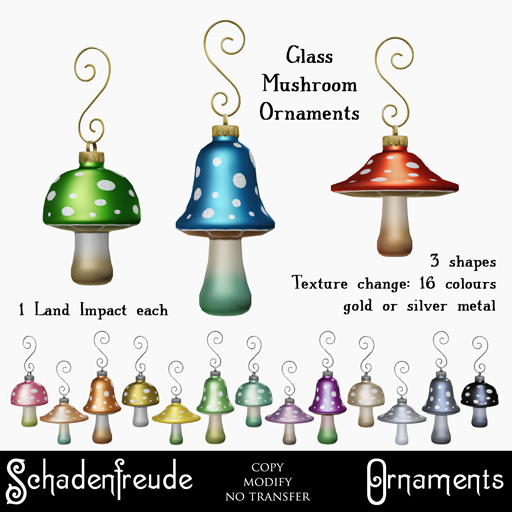 All ornaments are now 1 LI each (unless you scale them too large, and then, well, meshmath is funky like that). 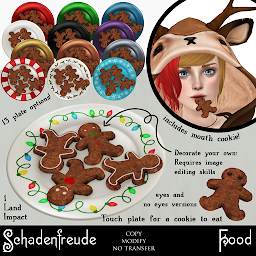 Also, gingerbread men! 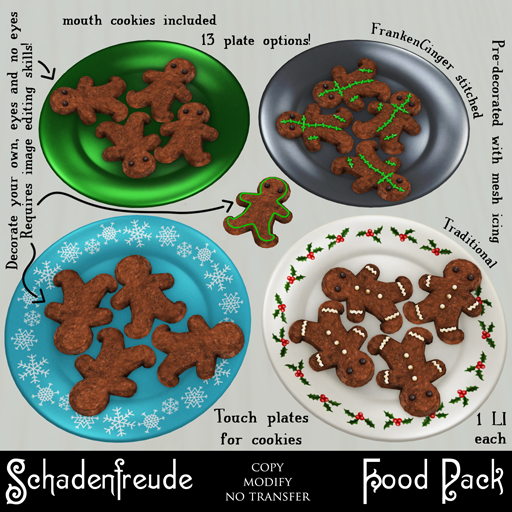 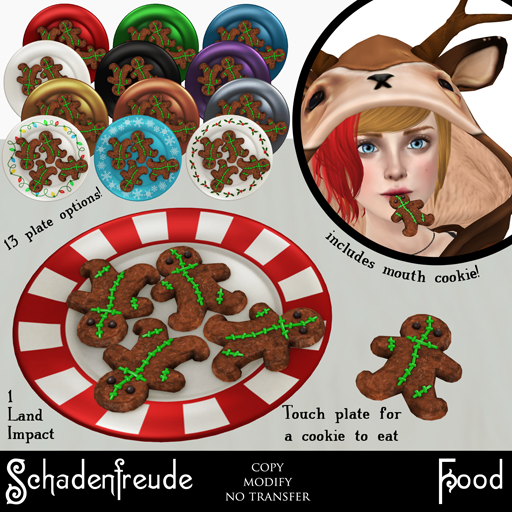 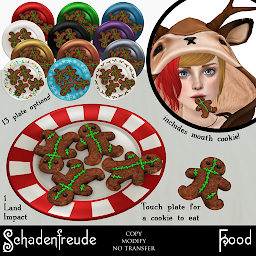 There are 3 styles, traditional with mesh icing buttons and cuffs, stitched FrankenGinger men, and a DIY set with and without eyes that lets you make your own icings for it (requires image editing skills- you have to be able to upload transparent textures for an icing overlay). 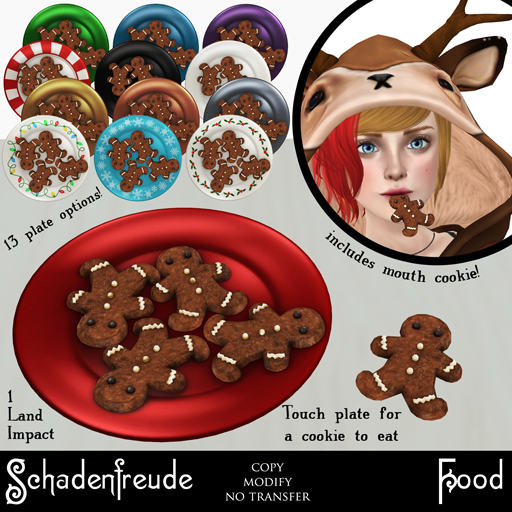 You can hold them in your mouth, you can hold and eat them, and you can rez a plate that distributes one to hold and eat to anyone. 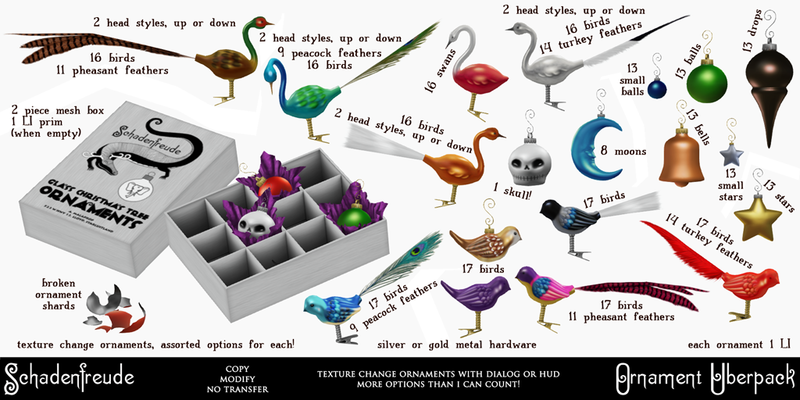 All to be found in the elephant!